You can’t force me into roles anymore. Tucked away in Overwatch’s Symmetra patch—which moved the former support hero to a wider damage category—is a small, unassuming addition that’s made the game a lot more pleasant for me to play. Blizzard added the ability for players to make their player profiles private. Overwatch now defaults to private profiles; you can switch your profile over to be public-facing or for friends only if you want. There’s a lot of information stuffed into player profiles, including win rates, most-played heroes, and Competitive Play rankings. Having this information isn’t bad. Actually, it’s good—being able to analyze your data is a nice self-reflection tool. But the ability to make this information private is essential. I play a lot of support. Mainly Zenyatta, but I’m pretty good with Mercy, Moira, and Lúcio, too. But I don’t only play support. D.Va’s actually my favorite—and best—hero. Sometimes I want to pretend Overwatch is a regular first-person shooter, so I play Soldier: 76. I’m working on the perfect engage with Winston. What I’m saying is, I’m pretty flexible with regards to what I can play, but I often found myself getting pushed into a support role because that’s what I’ve played the most of. There are times I’ll queue up Overwatch’s Competitive Play mode with every intention of playing D.Va or Winston, but teammates will check my player profile and ask me to switch. It’s not always asking, either—it can get toxic. My teammates assume I’m going to throw, just because I’m not playing my most-played heroes. It’s often easier to just switch to support. Other times I don’t even try to play anything different; I just lock in support before anyone has the chance to be toxic towards me for choosing a different hero. The support role is further forced on me as a woman. It’s assumed I can’t play anything else, or won’t. That it’s a “natural” role for me. Cultural norms regarding gendered behavior are to blame for this perception. Girls are socially conditioned to fill a caring role; as writer Ryan Khosravi wrote in “Overwatch and the problem of caring labor,” to be caring as a woman is “obvious.” It’s “natural.” None of this has to be explicitly said to be enforced in the world or in Overwatch. It’s already ingrained. Role-policing doesn’t exactly make Overwatch the most fun game—especially when gender harassment comes into play—but I keep playing. I report players that are exceptionally rude and mute others. But I think that’s going to change. I think private profiles are going to work in my favor. I joke that I’m a “two-trick,” meaning that I only player two heroes—Zenyatta and Mercy. But I think that’s a label that I’ve stuck to accidentally; neither of those are my best heroes (that’s D.Va) but they’re the two I stick to, sometimes by choice, sometimes by toxic teammates. But with a private profile, I’m the only one on my team privy to my most-played heroes. Teammates are going to actually have to engage with each other when adjusting compositions. I haven’t had much time to test this theory in Overwatch’s competitive queue. (The patch only went live a few days ago, one day before season 10 ended.) But in the little time I’ve had with the feature, it’s been a welcome change. 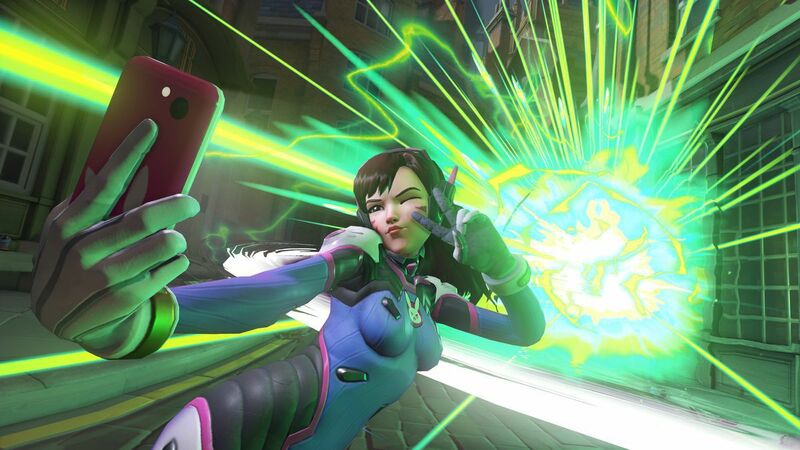 People are still toxic in Overwatch—and some people will always will be—but it’s a step in the right direction. 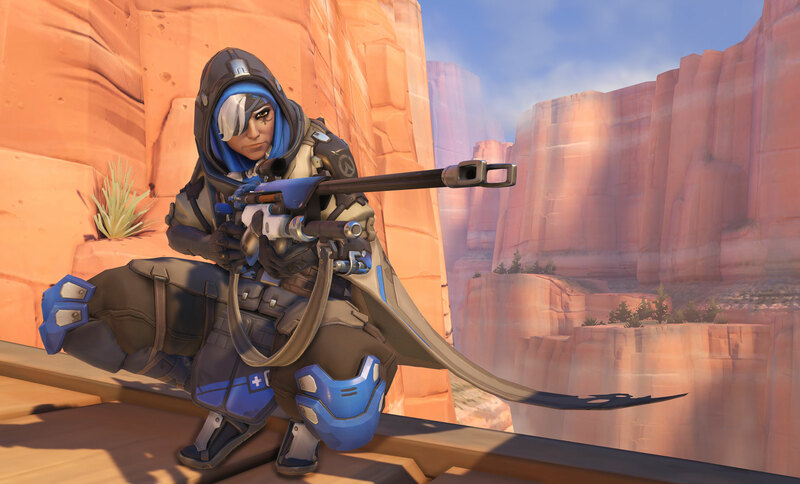 Are private profiles going to overhaul Overwatch’s toxicity problem? Nah. Not a chance. (Blizzard has a lot more to do in that regard.) But if it’s going to make Overwatch a little less toxic, I’ll welcome it.